Is there a hidden cost to cheap ink? It is a time-tested practice. Printer manufacturers are selling their printers at inexpensive prices and then making their money on the consumables. This comes primarily from the sale of replacement ink. It is this practice that has inspired a lively aftermarket of cheap ink from third-party suppliers. But at what cost? Is there a hidden disadvantage to using cheaper ink? The makers of today’s modern printers (the original equipment manufacturers or OEMs) claim that their ink is worth the premium prices they charge for it. By purchasing the recommended OEM ink, the printers are then capable of creating the highest quality images. These images have a greater and are more photo-accurate and have a higher, richer colour spectrum once printed. For photos, as well as document use, the OEM inks are long-lasting and have a higher resistance to UV damage and will fade less over time. However the costs per page are significantly higher. Aftermarket Inks make a Stand. Third-party suppliers, on the other hand, say that their inks are just as good but cost a lot less. 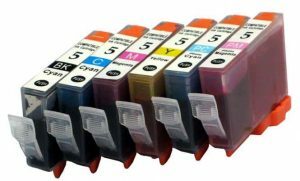 On average, the cartridges from these providers carry more ink and in most cases print significantly more pages before running dry. Many aftermarket sellers can provide anywhere from 3-50% more prints and anywhere from 50%-200% more documents depending on printer use. Some of this can be contributed to the OEMs making ‘regular’ cartridges at a lower cost with less ink and charging premium pricing for high-yield cartridges. Third party providers will often provide higher quantities of ink in a single cartridge. However, the printer manufacturers have made it difficult for the third party market to capitalize on the lower cost. Currently, most OEMs hold about an 80% share of the replacement cartridge market. The reason behind this is twofold. The manufacturers are constantly updating technology and changing to newer printers, as often as every 6-9 months. Often the newest printers do not have third party options for ink. And the use of smart chips makes many of the OEM ink cartridges proprietary. In some cases, these chips do not allow ink replacement to occur without the chip being reset or will not allow a ‘foreign’ cartridge to be used in the printer. The main difference between the two options are simply quality vs. cost. Side-by-side tests have been run by many different outlets, using the same printers, with both OEM and Aftermarket inks. 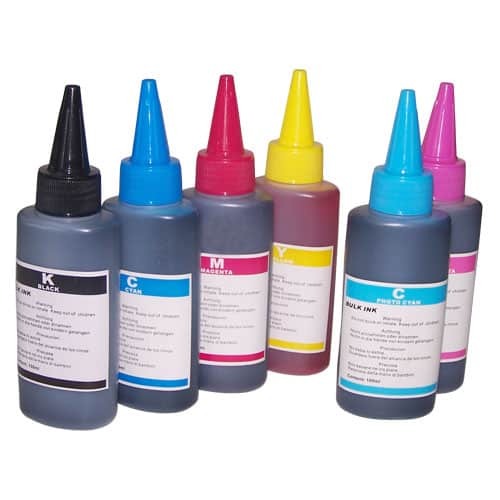 If you want the very best prints that will last the longest and have the greatest punch of colour, the best option is to go with an OEM ink. But if you are working more with documents or simple images for presentations, a third party option can be a significant savings over the life of the printer.